Pneumatic Sanitary Threaded Butterfly Valve is pneumatic actuator operated sanitary butterfly valves which with male/female threaded ends. 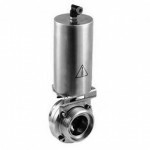 We provides full line pneumatic butterfly valve with threaded ends from 1/2″ to 12″ in stainless steel T304, T316L etc. 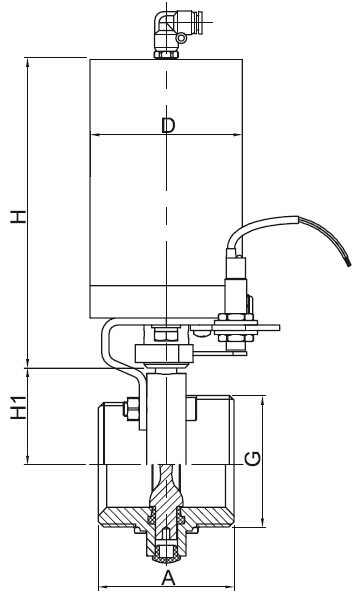 The air actuator can be assemblied upon client’s request, either of China origin or EU/USA brand. Sanitary butterfly valve is our strength sanitary valves , it comply with 3A, DIN, SMS, ISO, DS standards etc, it is widely used in process piping systems for isolation and control. Stainless steel T316L, T304 etc, body and disc is forged. Male/Female threaded to DIN, SMS, 3A etc. 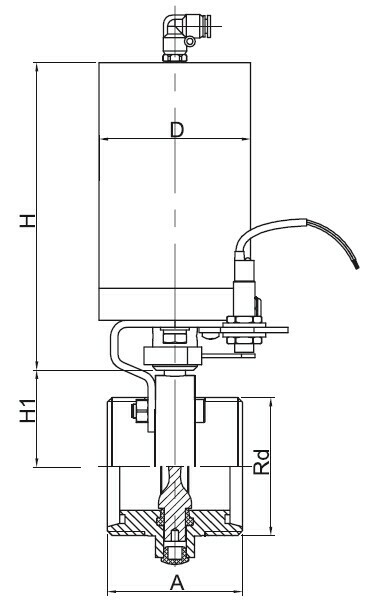 Pneumatic stainless steel actuator (vertical type). Vertical type, stainless steel 304 material actuator or horizontal type. NC/NO/AA operation for choose from. Normally Closed (NC) – Air to open and spring to close. Normally Open (NO) – Air to close and spring to open. Air to Air (AA) – Air to open, air to close. 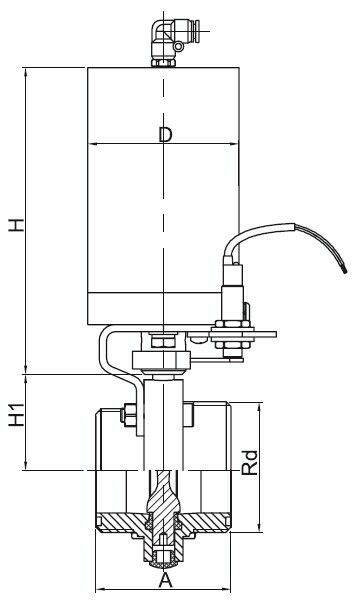 Supply Pressure of Air Actuator: 70 ~ 115psi (5-8 bar). Surface Finish: Ra 32?in (0.8?m) commonly, or higher upon request. Pharmacy, Beer, Food, BioPharm, Dairy, Beverage,Biotech ,Cosmetics etc. * For more information about Pneumatic Sanitary Threaded Butterfly Valves, please contact us when you feel free.